What an incredible year 2018 has been for New Paths! 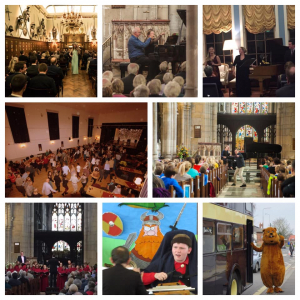 Our first as a charity, it featured our April festival and the Beverley Chamber Music Festival, plus events in London, Cambridge, Hull and Sledmere House. Thank you so much to our musicians, audiences and supporters for all your generosity and energy. We wish you all a very Happy New Year and can’t wait to unveil our programme for 2019 in January. A musical journey around the world: family-friendly concert in Hull on November... Tickets for the 2019 festival now on sale!